With the colours and features how could you not be taken seriously? 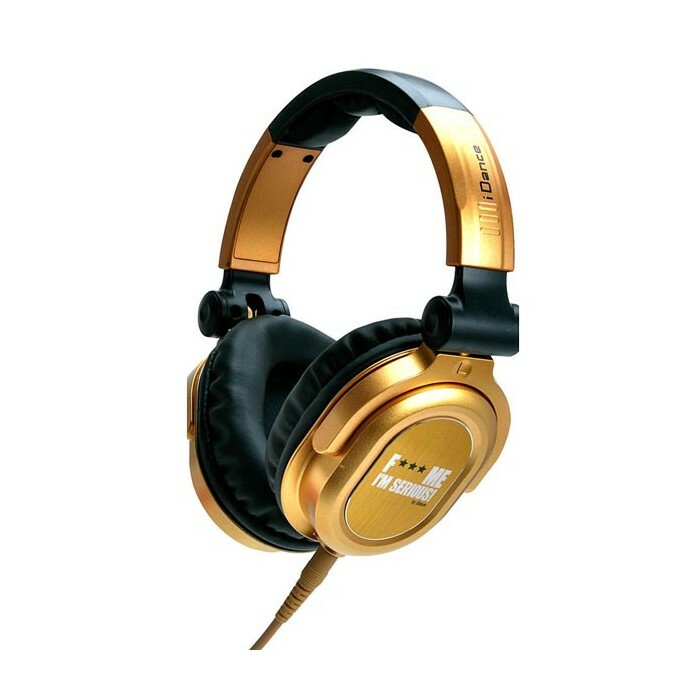 The F*** Me im serious headphones feature a swivel cup headphone for easy DJ monitoring, Breathable padding for extended use, and a large neodymium driver for optimal Frequency response. Fun in apperance,But meant for serious use by the most demanding DJs, The F*** Me im serious series headphones are for the true professional who wants to make a statement.